Advanced Novel Writing Workshop: Students who have completed a novel workshop now have the opportunity to continue working on their novel manuscripts with help from a published novelist and the encouragement and feedback of their peers. When you’ve completed this workshop, you will have written—and received feedback on—200 pages of your novel manuscript. Throughout the workshop you’ll be able to participate in discussion with the instructor and the class in the Lecture Hall, and group critique sessions with other workshop members in the Critics’ Corner. Essentials of Romance Writing Workshop: Do you yearn to write a romantic story? If so, you need to know what sets romance writing apart from other types of fiction. This course explores why romance is the same, yet different. Some essential components of romance are unique to the genre, while some romance requirements are identical to those of any good fiction story. Neither Stephen King nor Tom Clancy could sit down and write a romance unless he first familiarized himself with the specific factors that create a successful romance. This workshop will help you to understand those specific factors that make up the specialized world of romantic fiction. Weekly lessons will address critical ingredients of romance writing so that you may create a new romantic story or—if you prefer—work with a story-in-progress. Above all, a story of romance should whisk the reader away to a different place, a different life, a different reality. This workshop will show how a romance is put together to do just that—to allow the reader to escape from mundane cares. You'll learn how the hero of an action novel differs from the hero of a romantic novel. You'll learn the tricky business of putting your hero and heroine together and keeping them together-yet-apart until the story's close. You'll learn how to create the sexual tension that will have your readers turning the pages late into the night. What conventions must be followed and what rules can be broken for readers to embrace your work? You may be surprised! The workshop will consist of six one-week sessions. Each session will include online lectures and associated textbook reading assignments, along with a writing assignment to be submitted to the instructor for private review. In addition, work will be posted each session for group review and feedback. Throughout the workshop you will be able to participate in lecture discussion and be encouraged to take advantage of ongoing informal discussions and posted self-directed writing and creativity exercises. Editing for most writers is like diving off a bridge head-first with a large rubber band attached to their ankles…not a pretty sight. Join Elizabeth Delisi as she shows you a less hazardous approach to self-editing. In this three-day workshop, Elizabeth will cover seven areas that plague most writers. Do Your Chapter Endings Keep the Reader Reading? I do believe a new day has dawned for us and for the world. Saw this on another blog. I'm not sure where this list of the top 100 books of all time came from, so I can't tell you what the criteria was. But I figured it was fun anyway! So feel free to post to YOUR blog and run with it. 2 The Lord of the Rings - JRR Tolkien -- Loved it, loved the movies. 4 Harry Potter series - JK Rowling -- No interest, despite all the hoopla. 6 The Bible - Well, I've read large sections, but not all. 8 Nineteen Eighty Four - George Orwell -- Still gives me the creeps. 10 Great Expectations - Charles Dickens -- Dickens is a great writer of the human condition. 12 Tess of the D'Urbervilles - Thomas Hardy -- A sad book. 14 Complete Works of Shakespeare - Have read maybe half a dozen of his plays but not all. 16 The Hobbit - JRR Tolkien -- Tried to talk a high school class into reading this for our chosen novel of the year, but no dice. I read it anyway. 19 The Time Traveller's Wife - Audrey Niffenegger -- Interesting spin on time travel. 21 Gone With The Wind - Margaret Mitchell And also loved Scarlett. 24 War and Peace - Leo Tolstoy - Started. Not finished. Yet. 27 Crime and Punishment - Fyodor Dostoyevsky -- Hated it in high school. May try it again someday, but most Russian authors seem incredibly gloomy. 42 The Da Vinci Code - Dan Brown Hey, what can I say? I loved it. 48 The Handmaid's Tale - Margaret Atwood -- One of my all time favorite books. 52 Dune - Frank Herbert -- Interesting book, well done. 58 Brave New World - Aldous Huxley -- So sad. Hope it doesn't come to pass. 65 Count of Monte Cristo - Alexandre Dumas -- Great book! And a lovely movie version with Richard Chamberlain. 72 Dracula - Bram Stoker -- Terrific story, definitely creepy. 81 A Christmas Carol - Charles Dickens -- Read it to the kids one year during December. 89 Adventures of Sherlock Holmes - Sir Arthur Conan Doyle -- Always fun. Loved the PBS version with Jeremy Brett. 97 The Three Musketeers - Alexandre Dumas -- Loves this too, as well as the movies with Michael York, Charleton Heston, Richard Chamberlain and Faye Dunaway. So let's see...I've read 38 of them. I think. Naturally, I think there are many fine classics missing, and some on this list I'm not sure should be here. But hey, I didn't make up the list. I can always make up one of my own. ;-) What's your score? I have two new courses starting at Writing Online Workshops, that I’d like to share with you. Maybe you’ll find one to your liking and decide to sign up! Writing the Novel Proposal, starting 9/18: Congratulations! For months, maybe years, you've worked diligently to craft well-rounded characters, map out every plot point and intricate sub-plot. You've researched your setting and made sure every detail is accurate. You've written and revised and revised some more and now—finally—your novel is finished. After you've taken a well-deserved break and toasted your accomplishment, it's time to find a home for your masterpiece. But just how, exactly, do you go about finding an agent or editor, and—even more important—getting one of them to say "yes"? If your goal is commercial publication, you need to know how to approach the market the way successful novelists do—with a professionally presented novel proposal. At the conclusion of this workshop, you’ll have developed a proposal package to submit to agents or editors—including query/cover letter and synopsis. You’ll also revise and polish the opening chapters of your novel (up to 12,000 words) with your instructor's feedback. In addition, you'll identify appropriate potential editors and agents to send your proposal when you're finished. This workshop consists of seven two-week sessions. Each session includes online lectures and associated textbook reading assignments, along with a writing assignment specifically related to your novel, which will be submitted to the instructor for private review at the end of the first week of the session. During the second week of each session, work will be posted for group critique. Throughout the workshop, you can participate in asynchronous lecture discussion and group critique sessions, and you’re encouraged to take advantage of ongoing informal discussions and posted self-directed writing exercises. Hope to see you in one or both workshops! Do you love reading a good mystery? Have you always wanted to write one? Writers Online Workshops offers an online workshop, "Essentials of Mystery Writing," starting August 14--and I'm teaching it! So I thought I'd pass along the info to you. This workshop helps you construct a compelling mystery plot, develop fascinating characters, plant clues, and keep your readers turning the pages, eager to find out what will happen next. During the Essentials of Mystery Writing workshop, you’ll have the choice of creating a brand new mystery story from scratch, or working with a story you already have in progress. The workshop consists of six one-week sessions. Each session includes online lectures and associated textbook reading assignments, along with a writing assignment to be submitted to the instructor for private review. In addition, your work will be posted each session for group review and feedback. Throughout the workshop, you'll be able to participate in lecture discussion and be encouraged to take advantage of ongoing informal discussions and posted self-directed writing and creativity exercises. To learn more or to sign up for the course, visit Writers Online Workshops. Another upcoming workshop I'm teaching is "Fundamentals of Fiction Writing," starting August 28. Writing fiction can be an exciting and enjoyable creative outlet, giving voice to the characters who fill your imagination. Putting your fantasies on paper can be a satisfying exercise in and of itself. But at some point, if you're really serious about your fiction, you'll need to acquaint yourself with the techniques generations of fiction writers have used to bring their characters and stories to life. The goal of this workshop is to provide you with an understanding of these fundamental techniques and to encourage—-through the use of creativity exercises, hands-on writing assignments and constructive critical feedback—-the development of your individual style and creative expression. You don't have to decide yet whether your ultimate goal is a collection of short stories or The Great American Novel, because the focus in this workshop will be on the development of effective creative writing techniques that can be applied to any long or short fiction form. You'll learn how to develop believable characters and let them speak—-and act-—for themselves. You'll learn how to set the stage, and make readers feel as if they're right there with your characters. You'll learn the basics of plot—-enough to prepare you to tackle any kind of fiction project. This workshop consists of six two-week sessions. Each session includes online lectures and associated textbook reading assignments, along with writing assignments incorporating the techniques learned in the session, which you'll submit to the instructor for private review at the end of the first week of the session. During the second week of each session, your work will be posted for group review and feedback. Throughout the workshop, you'll be able to participate in lecture discussion and encouraged to take advantage of ongoing informal discussions and posted self-directed writing and creativity exercises. Hope to see you at one or the other--or both! Found something I thought would be fun to try, with a bit of modification to make it more interesting. Ready? Set? Here we go! 1. Pick up your favorite book if you're a reader; if you're an author, grab your favorite book of all those you've written. 4. Starting with that fifth sentence, post the next five sentences on your blog, along with the book info, these instructions, and link back to where you saw it. That's all there is to it. Simple, eh? "What is a circus, Majesty?" Senemut asked, frowning. "It is held in a tent...there are many strange animals and performers...food is sold and parents bring their children to see..." She waved her arms helplessly. "I cannot describe it better. It is like a festival, I suppose." Hope you have fun with this! Chat #1: Join me at the Loves Romances Café Yahoo loop: http://groups.yahoo.com/group/loveromancescafe for a day of fun chatting about my books, a contest or two, questions and answers, blurbs and excerpts, and lots of gossip. Be there or be square! Chat #2: Come talk to the authors of the ONE TOUCH BEYOND paranormal anthology. Elizabeth Delisi, also the author of "Since All Is Passing" and "Lady of The Two Lands"; Chris Grover, also the author of "Where's Michelle" and "Without A Clue"; Kim Cox, also the author of "Suspicious Minds"; Maureen McMahon, also the author of "Shadows in the Mist" and "Return of the Gulls"; Sheryl Hames Torres, also the author of "Enigma." Where: Latte Lounge at Coffee Time Romance Forums, http://www.coffeetimeromance.com/board/forumdisplay.php?f=435 When: All day. 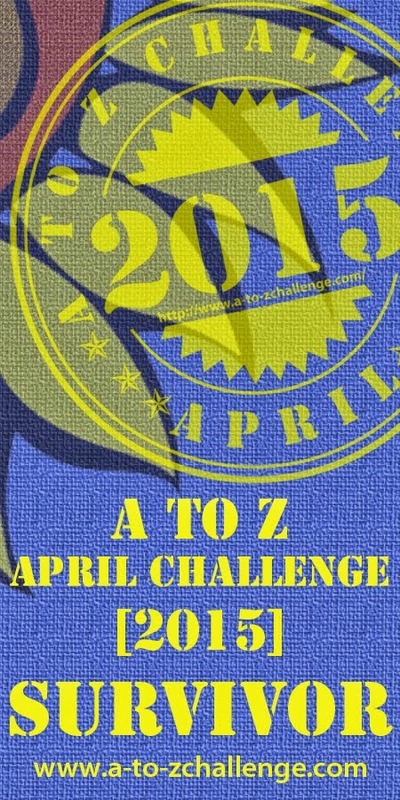 Five authors, contests, and lots of fun! Hope to see you there. Laura St. Clair has lost everything that matters. Her husband died a couple of years ago, she lost her son six months ago and she is at a loss on what to do now. While packing up her son’s belongings she discovers an Ouija board and plays with it just for fun. She is shocked when it starts moving on its own, apparently someone named Rafe wants her to contact his brother and she is hoping he can contact her son, Brian. Unfortunately, neither Laura nor Rafe are spirits. What does it mean? This is a wonderful story. Laura is a courageous woman looking for anything to bring her peace and contentment after the loss of her family. This story has a enjoyable twist and I don’t want to give anything away so trust me when I say it is good. Celtic Hearts Romance Writers Academy is proud to announce an upcoming online workshop for March. Description: Are you looking for new ways to breathe life into your outlining process, your plots, your characters? If so, have we got the course for you! Elizabeth Delisi, a.k.a. Madame Liz, will teach you how to use the ancient art of the Tarot to develop stories, plots and subplots, heroes, heroines and villains, and more. You'll learn the history of the Tarot, how to choose a deck, how to read the cards, and how to use those readings to develop and improve your writing. There will be four lectures, four assignments to be posted to the list for all to comment on, and naturally all questions will be answered. About the Presenter: Elizabeth Delisi has wanted to be a writer since she was in first grade, and probably would have written in the womb if she could have convinced her mother to swallow a pencil. But life hasn't always gone the way she planned, and on her road to publication she worked as a motel maid, waitress, secretary, administrative aide, substitute teacher, and newspaper reporter. Elizabeth's novels include a FATAL FORTUNE, first in the Lottie Baldwin paranormal mystery series; LADY OF THE TWO LANDS, a time-travel romance; and SINCE ALL IS PASSING, a suspense. She's written contemporary and paranormal romance novellas for ONE TOUCH BEYOND; ENCHANTED HOLIDAYS; HOLIDAY HEARTS; HOLIDAY HEARTS 2; and CUPID'S CAPERS, and has also published two short story collections, MIRROR IMAGES and PENUMBRA. In addition to her writing, Elizabeth edits for several small publishers and individuals, and teaches online writing courses for Writer's Digest. Elizabeth lives in New Hampshire with her husband, dog and cat. She enjoys hearing from her readers at elizabeth@elizabethdelisi.com and invites everyone to visit her website at www.elizabethdelisi.com. Fee: $10 CHRW members; $15 non-members. RWA Membership isn't required; anyone can take our courses. Celtic Hearts members receive 2 free workshops a year. Where to sign up: http://www.celtichearts.org/chwksp.html Please fill out the online form. 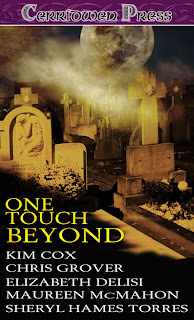 Just a quick note to let you all know ONE TOUCH BEYOND is now available! I hope you'll all check it out at Cerridwen Press and let me know how you like it! One Touch Beyond is now on sale! Laura St. Clair lost her eight-year-old son to a rare disease and lost her desire to live along with him. When she tries to reach the spirit of her son with a Ouija board, she makes contact with something--but what? Can the mysterious entity she's tapped into bring her news of her son, and if so, what will he expect from her in return? Nicole James has always believed in dreams. So after her mom dies and she dreams about a house she's seen in an old photo and an elderly woman who beckons to her and says "Nicole! Finally! I was so worried you wouldn't get here in time," she has to check it out. murdered men since she was five years old, with no memory of how she got there or what has happened. Can Brace protect Amy from the force that is controlling her life or will he become the next victim? struggles for control when she encounters an angry ghost who doesn't want to leave and who doesn't want the occupants of the house to stay. Does she have other abilities she can rely on to save her? Stacey Christian and Peter Mansfield come together again to attend the funeral of their beloved Harvard history professor, Bertram Donelson. Stacey's emotional stint as a reporter in Afghanistan and Peter's exhausting high-profile business takeover make them even more vulnerable to the romantic chemistry that's always been between them. Little do they know their old alma mater holds an evil and deadly secret that will propel them into a whirlwind of ghostly, shocking and even deadly experiences. Will this adventure be enough to finally bring their love to fruition? Please help me welcome today's guest blogger, romance author Elaine Hopper! Below you'll find an interview with Elaine, and more info about her many fabulous books. Do check them out. Q: Elaine, thanks so much for being my guest today. Can you tell us a little about you and your books? A: Thank you, Liz. I'd be delighted to. I write primarily comedy romance, but also some suspense and a paranormal. Over The Moon/My Baby Too (anthology) and Double Dare are available at Awe Struck. My story "Curse of Osiris" is part of the Enchanted Holidays anthology available at Cerridwen Press. Q: When did you first start writing, and what inspired you? A: I think I was a born writer. I began writing short stories when I was six, so almost as long as I can remember. I used to write stories for my Dad. There was one about a flying Sphinx. I wish I'd saved it. Q: If only you'd known then what you know now! Tell me, do you have any writing rituals? A: I keep a steno pad and pen with me at all times in case an idea comes to me when I'm away from the computer, or in case I get a few extra minutes to write (long traffic lights, kids' softball games, waiting in doctors' offices, when my husband is driving). My primary writing is at Borders and Barnes & Noble, however. I have to have a large diet cola and often a toasted bagel with cream cheese on which to nibble. I hunker down in a comfortable chair, put my MP3 player in my ears to drown out all the other noise, and I write - usually for hours at a time. Q: That sounds fabulous! What's your writing schedule like? A: Since I work a full time day job and two of my children are still in school, I'm pretty busy. My schedule revolves around them - LOTS of softball games, practice, and pitching lessons, etc. So I write a lot late at night before bed. If it's not too late, I'll go to Borders or Barnes & Noble. On weekends, I go to the bookstores a lot to write, too. Sometimes I'll go to the local library instead. Q: What books are you reading right now for pleasure? A: I still haven't finished the most recent Harry Potter, so that. I'm also reading a vampire romance by Patrice Michelle, and a Harlequin Next by Hank Phillipi Ryan. Q: Sounds like you have lots of varied reading interests. Who's your favorite author and why? A: Stephen King and Sherryl Woods. I love their characters, their plots, and their prose. Q: What historical figure is your hero or heroine? A: Does he have to be real or fictional? Can I say Superman? Clark Kent? I adore him in all his permutations. Q: Of course! Who doesn't? So getting more down to earth, what's your idea of a perfect real man? A: One who makes me laugh, who is responsible but doesn't take himself too seriously, one I can have fun with. One who lights my fire. Q: Definitely, we want that fire lit! What's your image of an ideal date with your perfect man? A: I love to slow dance, swim, be near water. I love music and moonlight. So any combination of those and I'll be in Heaven. Q: Sounds great! Can you give us a hint of what story you're working on next? A: Harlequin Next-type books. One is almost completely edited, and two more are in the earlier stages. Q: Sounds wonderful. And finally, is there anything else you'd like to tell my blog readers? A: My website is at Elaine Hopper and I'd like to invite you to visit me there. I love to get email from my readers. If you're also a writer, never stop writing, never stop submitting, and work with a critique group. Thanks Liz, for having me as your guest today! I hope some of you will join me for this course! It's a lot of fun. Class Description: Are you looking for new ways to breathe life into your outlining process, your plots, your characters? If so, have we got the course for you! Elizabeth Delisi, a.k.a. Madame Liz, will teach you how to use the ancient art of the Tarot to develop stories, plots and subplots, heroes, heroines and villians, and more. You'll learn the history of the Tarot, how to choose a deck, how to read the cards, and how to use those readings to develop and improve your writing. BIO: Elizabeth Delisi has wanted to be a writer since she was in first grade, and probably would have written in the womb if she could have convinced her mother to swallow a pencil. But life hasn't always gone the way she planned, and on her road to publication she worked as a motel maid, waitress, secretary, administrative aide, substitute teacher, and newspaper reporter. Elizabeth's novels include a FATAL FORTUNE, first in the Lottie Baldwin paranormal mystery series; LADY OF THE TWO LANDS, a time-travel romance; and SINCE ALL IS PASSING, a suspense. 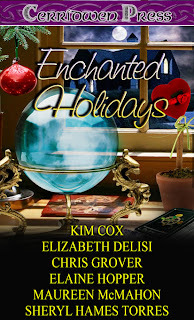 She's written contemporary and paranormal romance novellas for ONE TOUCH BEYOND; ENCHANTED HOLIDAYS: HOLIDAY HEARTS; HOLIDAY HEARTS 2; and CUPID'S CAPERS, and has also published two short story collections, MIRROR IMAGES and FENUMBRA. In addition to her writing, Elizabeth edits for several small publishers and individuals, and teaches online writing courses for Writer's Digest. visit her website at www.elizabethdelisi.com. Format: Course is conducted via Yahoo Groups email with lessons and Q & A.